At Home in Saint Lucia Named after Saint Lucy of Syracuse, Saint Lucia is the sort of Caribbean Island that people dream about. It is small, a lush green gem, but it is still comparatively unknown. Situated in the Windward Islands, with the Atlantic Ocean on its eastern shore, and the beaches of the western side dipped into the calm Caribbean Sea, Saint Lucia’s beauty seems more appropriate for an island in the South Pacific. Its two dramatic coastal peaks, called the Pitons, soar nearly 2,000 feet from sea level, sheltering fabulous virtually untouched rain forests with innumerable kinds of wild orchids, giant ferns and birds of paradise. Recent changes in EU import preferences have shifted the economic focus from bananas and made diversification important for the Caribbean Island of Saint Lucia. It has been attracting foreign business and investment, in offshore banking and tourism. The manufacturing sector is by far the most diverse in the Caribbean, and government efforts are continuing to revitalize the banana industry. Banana is the leading crop and there is some export-oriented production of flowers and foliage plants. The manufacturing sector includes paper products, beverage production, food processing, clothing, and electronic component assembly. The as- yet-small offshore financial sector has the potential to attract international business. There are also government initiatives directed at developing the informatics sector. Economic development is well supported by the strategic infrastructure already in place like the ports at Castries and Vieux Fort with container trans-shipment facilities especially geared to banana exports. Tourism, a mainstay of St Lucia’s economy, is second only to bananas, and is expected to increase in importance, as the banana market becomes more and more competitive. St. Lucia is also a very popular location for weddings and this adds to the tourism trade. All the sectors of the local economy have benefited hugely from infrastructure improvements with new roads, communications, water supply, and port facilities. This, along with a stable political environment, as well as an educated work force, attracts foreign investment. People looking for Caribbean real estate, such as a holiday home or a retirement home on Saint Lucia can choose from a range of luxury villas, country homes, condominiums and apartments. Single family homes and villas start at around $400,000 US, depending on location. For non-nationals who wish to purchase St. Lucia real estate, the property must be identified and an application for an Aliens’ Land Holding License must be made. This can be done by a lawyer. A police clearance from the buyer’s country, banker’s references and a character references are needed to obtain St. Lucia real estate. A non-refundable fee of EC $200 is necessary for the application process and a further Alien Land Holding Tax, upon granting of the application. The entire process takes from 3 to 4 months to complete. The Caribbean Island of St. Lucia is becoming an increasingly popular tourist and Caribbean real estate investment destination. Whether you’re coming for the spectacular snorkeling or diving, the pristine rainforest or simply to relax and settle down, St. Lucia will never disappoint you! There is always something to do and somewhere to go on the island. There is an array of exciting activities available. This Caribbean Island’s steep coastlines and offshore reefs provide spectacular snorkeling and scuba diving locations. There are rainforest preserves in the interior providing locales for hiking and bird watching. The island also offers world class facilities for sports like golf and tennis, along with ample sailing, and a wide range of other leisure activities. One of St. Lucia’s main attractions is the Soufriere volcano, which has the only drive-in crater in the world. 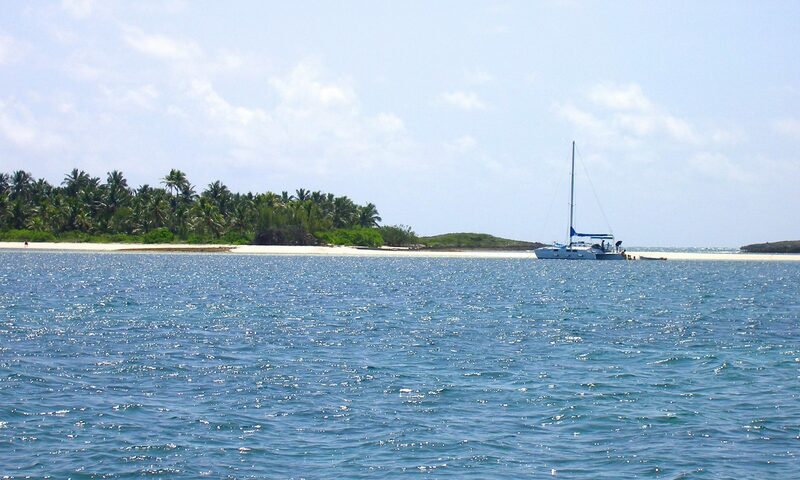 Visitors can tour the island by horse; they can charter a yacht for a sail, or simply relax in the natural beauty. For people who are fond of more vigorous pursuits, there is plenty windsurfing, diving, water-skiing, and tennis or squash. There are also a plethora of activities related to traditions like deep-sea fishing, or weekly “jump-ups” at Gros Islet, not to mention the weekly market at Castries. Visitors can view the splendid island by helicopter on flights looping around the island. Boat charter companies offer deep sea fishing excursions to go after Mackerel, King Mackerel, White Marlin, Barracuda, Kingfish and Sailfish. History buffs can see more of the roots and culture of the island, with a tour of one of the working plantations and see how cocoa, and coffee, coconut and other crops were grown and harvested. Visitors can also learn about local folklore, Creole style cooking and so on. 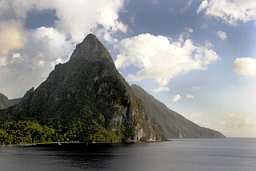 The Caribbean Island of St. Lucia offers duty-free shopping, with imported designer perfumes, crystal and china. There is also the experience of a traditional market day, with local women coming to Castries’ 100-year-old outdoor market and to display their colorful wares under parasols. From fresh fruits and vegetables, to spices, woven baskets and other local crafts, you can lose yourself in the experience. Local handicrafts can be found in shops in Castries as well, along with hand-screened batik and prints of island scenes. St. Lucia has a large number of restaurants, cafes and fast food outlets. The cuisine is a blend of International and Creole cooking. There are specialty restaurants offering international cuisine including French, and Italian, as well as pizzas, Indian food and steakhouses. Restaurants are at hotels, in local settings, and at various malls. Most hotels offer on-property entertainment, with shows almost every night and music from Jazz to Reggae and Soca. Some provide transportation to the hot spots. In addition, Gros Islet town is the nightlife capital of St. Lucia. The Caribbean Island of Saint Lucia is one of the Windward Islands of the Lesser Antilles, and is located in the middle of the Eastern Caribbean chain. It is south of Martinique and due north from St. Vincent, and to the northwest of Barbados. An island in the Caribbean Sea on the boundary with the North Atlantic Ocean, it is to the north of Trinidad and Tobago. Visitors from the United States have the option of American Airlines nonstop daily service from Miami, and the two flights every Saturday from Philadelphia and Charlotte by US Airways. Air Jamaica also has direct flights from New York and Baltimore flies from Miami and New York. Air Canada flies from Toronto. In addition there are flights from Atlanta and Puerto Rico, as well as charters from London, Toronto, and Milan – and alongside these from various Caribbean destinations. From the U.K., British Airways and Virgin Atlantic both offer flights to the island. LIAT and Caribbean Star connect with local Caribbean destinations. Hewanorra International Airport at Vieux Fort is 40 miles south of Castries and the George F. L. Charles Airport is on the coastline just outside Castries. St. Lucia is also a popular destination for cruise ships, with the main seaport in Castries. Many cruise ships anchor at either Pointe Seraphine or La Place Carenage and there is additional anchorage for cargo ships and container ships at Vieux Fort near the airport. There are a quite a few car rental companies – driving is on the left and seat belts are compulsory. Visitors without an international driver’s license must get a temporary permit to drive in St. Lucia, which is valid for three months and costs about $20 US. Permits are available at the immigration department, the airport or the police department if you produce a driver’s license from your home country. They can also be bought at major car rental agencies. If you have an International driver’s license, simply get it stamped at immigration, free of charge. Arawak Indians, who might have come from northern South America, were the first settlers, in the 3rd century, and the Caribs took over from them later from about 800-1000 A.D. The European discovery of the island is vague. Europeans probably first landed on the island in either 1492 or 1502 as a part of early Spanish exploration of the Caribbean by the explorer Juan de la Cosa. The Dutch, English, and French tried and failed to establish trading outposts in the 17th century driven away by hostile Caribs. After these early failed attempts, the French and British fought over the island. The English established their headquarters in Barbados, and the French, on Martinique. Both found St. Lucia irresistible after the sugar industry developed and during the 17th and 18th centuries, St. Lucia changed hands 14 times, until Britain finally gained control in 1814. The 20th-century has seen increasing self-governance. In 1924 a constitution gave this Caribbean Island a form of representative government. Universal adult suffrage came in 1951 and ministerial government in 1956. The island was a province of the West Indies Federation from 1958 to 1962. When the federation collapsed, a smaller federation was tried for a short time, but failed. After this, the United Kingdom, together with six Windward and Leeward Islands, developed a form of cooperation known as associated statehood. St. Lucia was granted self-government in 1967, making it fully responsible for internal governance; and full independence came in 1979. St. Lucia today continues to recognize the Queen, Elizabeth II, as a titular head of state. It is a member of the British Commonwealth. This Caribbean Island has had a recent upsurge in tourist and local interest in its native forms of music. In 2004, the first-ever M&C Fine Arts Awards were given to honor Saint Lucian artists. There is the famous Saint Lucia Jazz Festival as well. The traditional island music is a combination of African rhythms with European dances like the quadrille, the polka and the waltz and local dances include the moolala, the grande ronde, and the faci and la comette. Folk dance and theater forms include flower dances, masquerades and the well-known Papa Djab festival. The culture of the island is rich with its history and has African, French and English influences. The Caribbean Island of Saint Lucia is one of the Windward Islands of the Lesser Antilles, and is located in the middle of the Eastern Caribbean chain. It is south of Martinique and due north from St. Vincent, and to the northwest of Barbados. An island in the Caribbean Sea on the boundary with the North Atlantic Ocean, it is to the north of Trinidad and Tobago. Visitors from the United States have the option of American Airlines nonstop daily service from Miami, and the two flights every Saturday from Philadelphia and Charlotte by US Airways. Air Jamaica also has direct flights from New York and Baltimore flies from Miami and New York. Air Canada flies from Toronto. In addition there are flights from Atlanta and Puerto Rico, as well as charters from London, Toronto, and Milan – and alongside these from various Caribbean destinations. From the U.K., British Airways and Virgin Atlantic both offer flights to the island. LIAT and Caribbean Star connect with local Caribbean destinations. Hewanorra International Airport at Vieux Fort is 40 miles south of Castries and the George F. L. Charles Airport is on the coastline just outside Castries. St. Lucia is also a popular destination for cruise ships, with the main seaport in Castries. Many cruise ships anchor at either Pointe Seraphine or La Place Carenage and there is additional anchorage for cargo ships and container ships at Vieux Fort near the airport. There are a quite a few car rental companies – driving is on the left and seat belts are compulsory. Visitors without an international driver’s license must get a temporary permit to drive in St. Lucia, which is valid for three months and costs about $20 US. Permits are available at the immigration department, the airport or the police department if you produce a driver’s license from your home country. They can also be bought at major car rental agencies. If you have an International driver’s license, simply get it stamped at immigration, free of charge. The island enjoys a subtropical climate, humid but moderated by the northeast tradewinds, making it pleasant all year-round. Caribbean real estate investors and North American snowbirds are drawn by the tropical weather. Annual average temperatures range from a high of 87F to a low of 77F at sea level. Temperatures drop considerably in the mountains. The annual rainfall averages around 200 centimeters (80 inches), with the most precipitation during June to December, in the wet season. Hurricanes are common in this area and can sometimes cause extensive damage. St. Lucia has generally been lucky and been spared from serious storms. Recent changes in EU import preferences have shifted the economic focus from bananas and made diversification important for the Caribbean Island of Saint Lucia. It has been attracting foreign business and investment, in offshore banking and tourism. The manufacturing sector is by far the most diverse in the Caribbean, and government efforts are continuing to revitalize the banana industry. Banana is the leading crop and there is some export-oriented production of flowers and foliage plants. The manufacturing sector includes paper products, beverage production, food processing, clothing, and electronic component assembly. The as- yet-small offshore financial sector has the potential to attract international business. There are also government initiatives directed at developing the informatics sector. Economic development is well supported by the strategic infrastructure already in place like the ports at Castries and Vieux Fort with container trans-shipment facilities especially geared to banana exports. Tourism, a mainstay of St Lucia’s economy, is second only to bananas, and is expected to increase in importance, as the banana market becomes more and more competitive. St. Lucia is also a very popular location for weddings and this adds to the tourism trade. All the sectors of the local economy have benefited hugely from infrastructure improvements with new roads, communications, water supply, and port facilities. This, along with a stable political environment, as well as an educated work force, attracts foreign investment. People looking for Caribbean real estate, such as a holiday home or a retirement home on Saint Lucia can choose from a range of luxury villas, country homes, condominiums and apartments. Single family homes and villas start at around $400,000 US, depending on location. For non-nationals who wish to purchase St. Lucia real estate, the property must be identified and an application for an Aliens’ Land Holding License must be made. This can be done by a lawyer. A police clearance from the buyer’s country, banker’s references and a character references are needed to obtain St. Lucia real estate. A non-refundable fee of EC $200 is necessary for the application process and a further Alien Land Holding Tax, upon granting of the application. The entire process takes from 3 to 4 months to complete. The Caribbean Island of St. Lucia is becoming an increasingly popular tourist and Caribbean real estate investment destination. Whether you’re coming for the spectacular snorkeling or diving, the pristine rainforest or simply to relax and settle down, St. Lucia will never disappoint you!